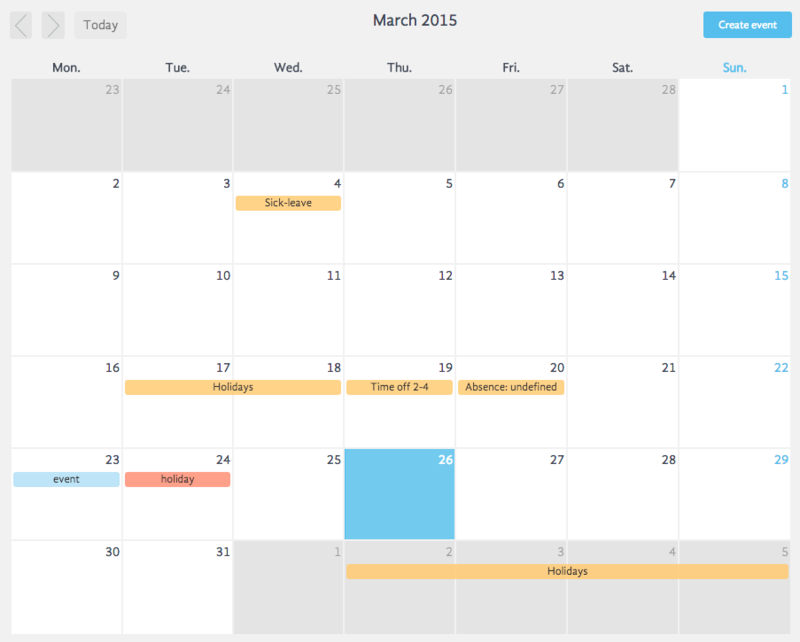 With BadgeBox Calendar you will be able to manage all important dates and events (private and professional). Once you generate an event you can create a reminder with a pop-up notification and invite other users to participate. Moreover, it is possible to generate a daily event that can be shared with other colleagues and supervisors. This, however, does not affect your privacy by making public your private dates and events. In order to generate a new event you can press on the “Create event” button or directly on a day of your interest and fill in required information. You can have monthly, weekly or daily visualization that offers a clear and simple view of your agenda. From here you can directly create a time off, holiday or sick-leave request. Once the supervisor approver or rejects your request you will receive a request status notification.